With over 10 million downloads, the Alexa toolbar is a sure winner. Whether you are new to the web, or a savvy surfing pro, this is the tool for you. Get it now, for free! This is super cool! Been around forever.. it archives the Internet and lets you view a site or page the way it looked in the past! This is a screenshot of part of my status bar in firefox. Pretty helpful! These are good indicators of how well your SEO is really doing. 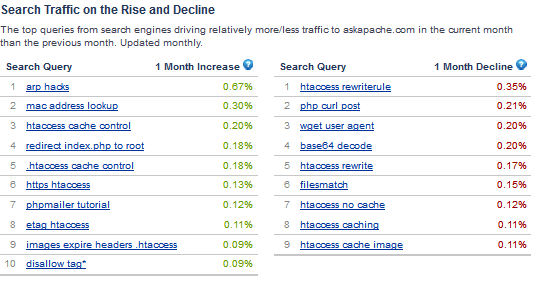 This information can be invaluable to ranking up for certain keywords and seeing what is popular on your site. It works for the below browsers. Ready? Then go install it! Or take the Tour.